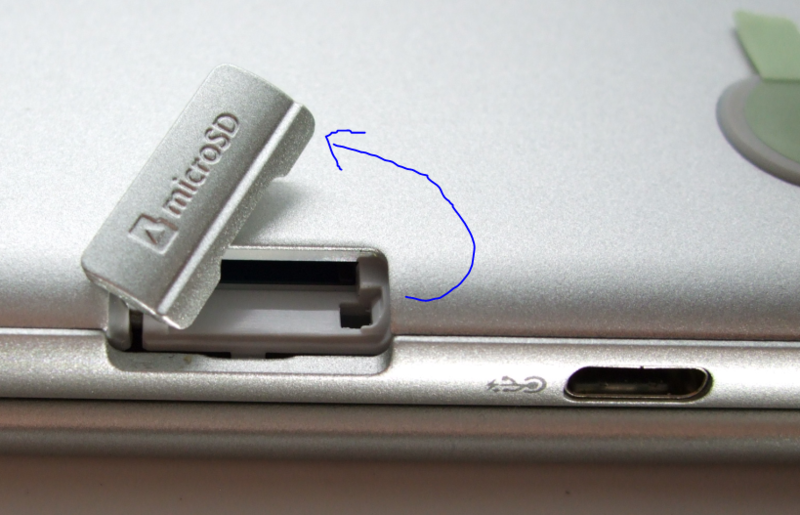 If you don’t already have a microSD card for this, procure one! 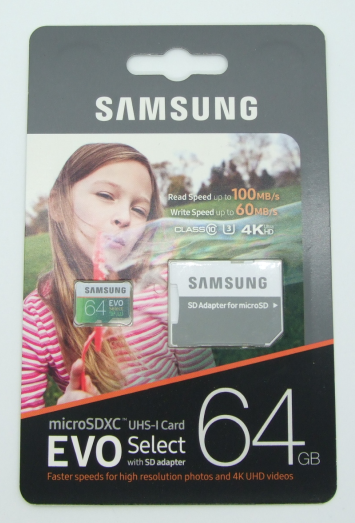 I picked up a 64GB Samsung EVO Select simply because it was on sale and why not have a Samsung card in a Samsung device 🙂 Gently open the container and remove the memory card from the packaging. 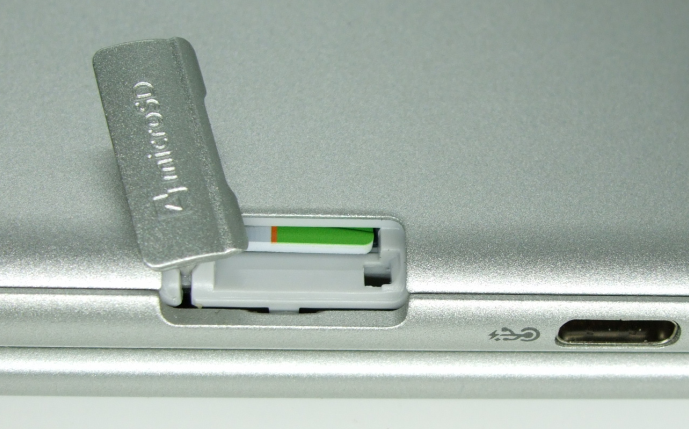 The SCP takes microSD cards, so save the full size SD adapter for other uses. 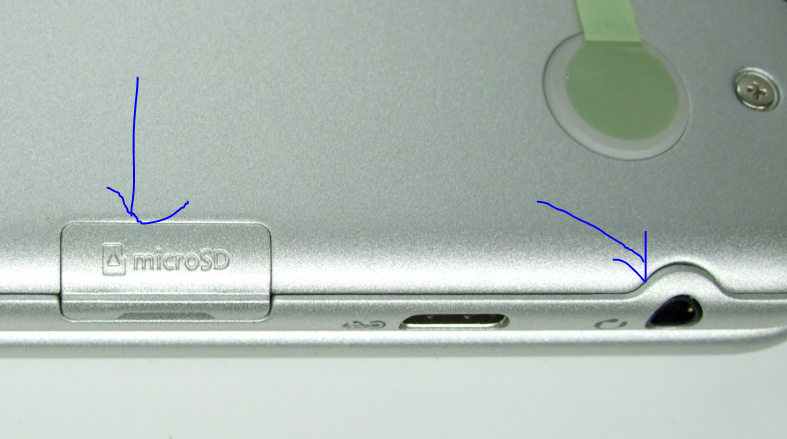 Turn the SCP upside down and locate the microSD on the bottom, on the same side as the headphone jack. This is the right side when the laptop is opened in the conventional laptop position and it is facing you. 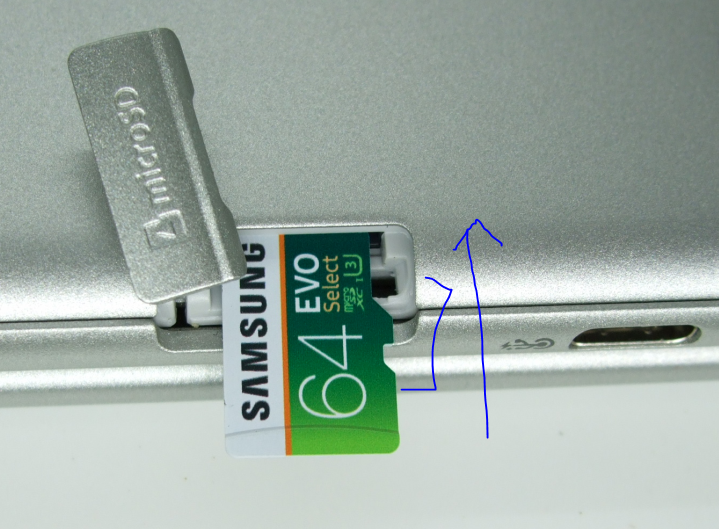 Gently grasp the microSD card and align it (there is a straight and a jagged side) with the microSD slot on the SCP. In the picture below, the laptop is upside down. If you are installing it with the laptop face up, change the card’s orientation to match that. Then gently close the cover and you are good to go!